Length: 470 mm (18.504 in); Width: 118 mm (4.646 in); Step: 6,2 mm (0.244 in), quantity of needles: 1500. 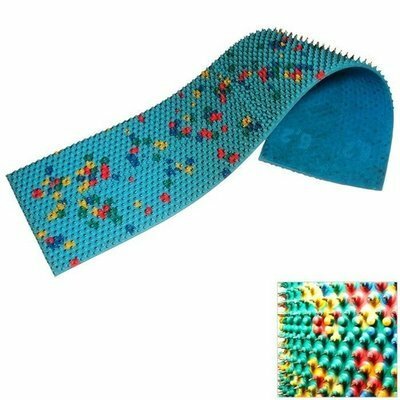 This acupressure mat is applied in treatment of children and patients who have increased skin sensitivity or thin layer of subcutaneous fat. The applicator can be used either on its own or combined with other applicators applied to any zones. “Quadro” applicator as well as any other Lyapko acupressure mat is very easy to use. You don’t have to ask for assistance or make any extra efforts to apply it. It will help you any time you need to relieve pain or get rid of tiredness. If you use the applicator in the morning, it will give you an energy boost for the whole day.